We’ve all heard the expression, ‘don’t put all your eggs in one basket,’ and in any industry like healthcare where costs are skyrocketing, it seems like sound advice. But if you strongly believe that the basket — in this case, innovation — is the future, perhaps it’s time to rethink it, particularly if your organization has invested so much time and resources in this area. 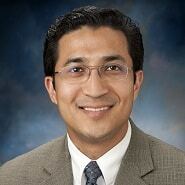 For years, UPMC has worked to build a foundation for innovation that focuses on “substance backed by academic and scientific rigor to create products that are effective,” says Rasu Shrestha, who holds dual roles as Chief Innovation Officer at UPMC and Executive VP of UPMC Enterprises. In this interview, he talks about how the organization is leveraging its innovation arm to develop better care models, the ‘how’ and the ‘why’ when it comes to acting as one strategic group, and the ultimate goal of making technology “as invisible as possible.” Shrestha also discusses what it will take to improve interoperability, and why he’s excited about where the industry is headed. Care doesn’t just happen within the walls of the hospital or clinic where we’re spending maybe 20 minutes with the patient. Care happens outside of those walls, and there are data elements and attributes that need to be interoperable to allow us to have a much broader perspective. It’s about building bridges. It’s about connecting the dots across all of these disparate entities. But it’s also about converting those data elements to information, and converting the information to knowledge by marrying it with evidence-based guidelines and clinical best practices and protocols. Innovation isn’t just about data and getting data right. It’s not just about fancy charts and analytics; it really is about behavioral change. We’re trying to impact how healthcare continues to play itself out, not just within the organization and the geography we influence here in Western Pennsylvania and more broadly, but across the industry. Gamble: Another issue I want to touch on is interoperability. Obviously, this is a significant challenge. We often hear people say that it should have been baked into Meaningful Use, but rather than go back and try to fix something that’s already happened, what do you think it’s going to take for the industry to start to see some progress here? I know this is a very big question. Shrestha: How much time do we have? I’m a big believer in interoperability or the need for interoperability. That was one of my charges at UPMC; it’s such a unique environment. Sometime back, we decided to go with the best of breed approach, even in our decision to go with Cerner as our main EMR in our inpatient areas, and Epic as our EMR across all ambulatory care venues. So we’re both Epic and Cerner, and we then have a different EMR for oncology, and a number other solutions in our ancillary care areas. It’s a best-of-breed that we’ve embraced, and while in many ways it poses a challenge, it has also given us an unfair advantage when it comes to interoperability. In the last decade, we’ve been able to get to a level of syntactic interoperability and semantic data harmonization in ways that we’ve not seen happen across the industry. We know of the challenges that exist around the need for us to really take this to another level, and we remain excited about that. But as much as we’re seeing some of the struggles of interoperability, and we’re seeing a level of leaning in from our vendor partners in Epic, Cerner, Allscripts, and others that we haven’t seen in the past, I believe this notion of interoperability needs to veer well beyond some of the data elements we’ve been looking at thus far. We need to expand the scope when we talk about interoperability to include not just labs, meds, allergies, immunizations, problems, and documents that we’re dealing with across the EMR — these are all really important. But I think what’s also equally important is interoperability across other data elements that traditionally sit outside of the core EMRs. And by that, data elements around social determinants of healthcare; data elements that define the specifics of whether or not a patient will take their meds, whether or not they can afford their meds, and what are some of the behavioral attributes that may define adherence and compliance and shared decision-making capabilities. Data elements that we have on the payer side. I believe interoperability needs to be where we’re able to feel have free-flowing data across all of these different silos and connect the data in ways that we’ve not been able to do in the past, to get to the true patient story; to bring their story to life. We need to look at things in a longitudinal way that goes beyond the specific encounter of that one episode of care that they’re having. And that’s the bigger challenge around interoperability — how do we do that? How do we get to that necessary reality where interoperability becomes not just navigating the challenges of data elements we’ve been using within the EMR, but really broadening that scope to where care actually happens? Care doesn’t just happen within the walls of the hospital or clinic where we’re spending maybe 20 minutes with the patient. Care happens outside of those walls, and there are data elements and attributes that need to be interoperable to allow for us to have a much broader perspective, and make that care much more effective and efficient across the board. Gamble: Right. It’s not an easy question, that’s for sure. I wholeheartedly agree that when we’re talking about data, it needs to include the whole picture of the patient, and it’s encouraging to see more organizations start to get involved with incorporating social determinants into that picture. Shrestha: Absolutely. It’s about building bridges. It’s about connecting the dots across all of these disparate entities. But it’s also about converting those data elements to information, and converting the information to knowledge by marrying it with evidence-based guidelines and clinical best practices and protocols. It goes back to what I mentioned at the offset of this interview where I talked about strong academic and scientific rigor, and the importance of understanding the specifics of the desires and motivators of that patient and that consumer, because I think that’s really important. When we talk about shared decision-making, at the end of the day it’s less about the data, and more about how do we influence behavior change and how we get to behavior changes through nudges? They could be small nudges, or they could be big, but getting to those nudges entails us to understand the specifics of drivers and motivators, whether it’s for clinicians that may or may not order a specific study that may or may not be appropriate for that specific encounter, or patients who may or may not eat a pizza versus a salad. There are many things that define behavior, and so we’re trying to really up our game and say that innovation isn’t just about data and getting data right. It’s not just about fancy charts and analytics; it really is about behavioral change. It’s about those nudges, and getting to those nudges in meaningful ways will get the outcomes we desire across healthcare. Gamble: Very interesting. The last thing I want to focus on is our career. You’ve been with UPMC for several years, and in your current role for about three years. What was it that made you interested in this position? What appealed most about the chief innovation officer role? Shrestha: It’s interesting. As much as you try to bring focus on my career, I try to take it beyond that and say it really is about the team. I’m not just being modest about it. It’s the definition of how I came to my role today; it’s the makeup of the team and our strategy across UPMC. In my prior role I was the Vice President for Medical Information Technology, and I was charged with interoperability, innovation, and imaging. It’s been a natural evolution from that role into the role I’m currently in. It isn’t any one person. Even in my current role, I may have that charge, but at the same time the mandate is for us to work collectively and cohesively as a team across the board. When we put together the strategic framework three or four years ago, it positioned us at UPMC to take all the goodness of what we’ve been doing in the last decade around innovation and technology development, and try to take it to the next level. We put together a strategic framework that essentially was a blueprint that said, what we intend to do at UPMC is to capitalize on all of the things that have worked, all the lessons learned from some of the struggles we’ve had — as would any organization—and to put our best foot forward and bring together multiple facets of ideation, product development, commercialization, and thought leadership into not just a role, but an effort across the board at UPMC and at UPMC Enterprises. That, in many ways, has been reflective of my transition and my journey, and I’m excited about where I am right now at UPMC. We’re doing a lot of great things; not just for the organization, but for the industry. We’re trying to take some of the best practices we’ve finessed here to market and share those best practices — whether it’s through these products and attributes, or through other means such as thought leadership exercises — with other organizations, both nationally and internationally. At the same time, we’re trying to impact how healthcare continues to play itself out, not just within the organization and the geography we influence here in Western Pennsylvania and more broadly, but across the industry. We’re trying to say, here’s where things need to be from an innovation approach. So whether it’s through my work as the Chair of HIMSS Innovation or through some of the thought leadership work that others in my organization continue to push forward on the payer side, on the provider side, and across the board, we’re trying to take the synthesis of these roles that you’re identifying to be the essence of how we move the entire industry forward. Gamble: It sounds like you have an incredible team there, and seems like an environment where everyone learns from each other. Shrestha: Absolutely. Don’t get me wrong, we have our challenges. We’re human beings. We’re a large organization that continues to learn, but that’s what we pride ourselves in. We’ve created an environment and a culture that’s not afraid to challenge the status quo. We’ve created a culture where we have a safe space to fail fast and hopefully succeed often. We’ve created a set of capabilities and methodologies that allow us to tap into the broadest set of resources across UPMC in ways that I’ve not seen done at other organizations. Healthcare is really complex. We’re talking about things that have a lot of gravity. We’re talking about patients, we’re talking about lives, and we’re talking about relationships, and when we’re dealing with those heavy issues, there are a lot of complexities that are associated with that. And so we’ve created a set of tracks that allow us to circumnavigate some of those challenging areas — for example, access to data and access to expert resources — and we’ve created capabilities that allow us to take that speedboat approach that I referenced earlier. Gamble: Right. Well, I could certainly speak with you longer, but it’s time to wrap this now. I want to thank you so much for your time. It’s been really interesting to hear about the work that your organization is doing. Shrestha: Absolutely. Thank you so much for your time, Kate. I really enjoyed conversing with you and I look forward to this podcast and interview coming up. Gamble: Thanks again, and enjoy the rest of your day.